You don't see me, you can't hear me. of our last sunset moment. 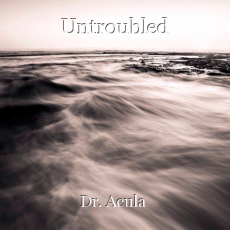 Such beautiful words to emotional sink in Dr. Acula, as always. Amazing work, Doc. I loved the emotion, and your beautiful writing. Every stanza pretty much had a line that I was in love with. Great work! Thank you very much Wisdom ! I re-read it after I wrote and it felt a little ethereal, but I still liked the flow for some reason. I am thankful for your kind words ! Lovely words, my friend. Brava! Thank you very much, kind lisbeth ! Thank you so much Hully ! Wow I really like this one. Like really like this one. Beautifully written. :) so many great lines here. Ew I feel like our president with my lack of complete sentences or cohesive thoughts lol. Lo siento. This page was created in 0.4622 seconds.